Making your own hummus is not nearly as difficult as you might think. All it takes is a food processor (or a high speed blender) and a few minutes of your time. When my husband and I were dating, we’d often pick a recipe out of a cookbook, get the ingredients we were lacking, and then cook it. We learned a lot about each other and we got a lot of cooking practice. I used to joke that I was just the stirrer (and taster, of course). He was in charge of the flavor. Well, considering I now cook about 95% of our meals, I’d say I’ve been promoted out of the stirrer position. He still likes to throw extra flavor in, just to see how it’ll taste. It’s usually delicious! I remember one specific trip to the store. We had our ingredient list in hand and we needed a can of chickpeas. We asked everyone who worked at the store where we could find chickpeas. But everyone had the same response. It felt as though we were speaking another language. We were trying to explain what they look like, what we’re using them for. And of course, we were new to cooking so we didn’t have much information to give them. Well after a frustrating twenty or thirty minutes of searching the store, somebody realized…. They’re also called garbanzo beans. And they’re with the other canned beans, obviously. We got the can of garbanzo beans. And we were able to make our meal. We learned a valuable lesson that day. Chickpeas are sometimes called “garbanzo beans”. It’s unclear where hummus originated, because a handful of Middle Eastern and Mediterranean countries all claim it as their own. It’s such a tasty dish that everyone wants credit for it! While no one knows exactly where it originated, its popularity has spread to America and now you can find pre-made hummus in most grocery stores. Each region has their own unique way of making it. For example, if you’re in Turkey, you’ll be eating hummus made with butter instead of olive oil. One thing that’s the same no matter where you go is the use of chickpeas, tahini (sesame seed paste), lemon juice, and garlic. Hummus is a healthy snack. Here are a few of the health benefits. Why Bother Making Your Own? 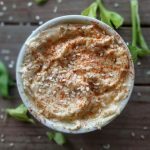 Can you buy hummus pre-made at the store? Yes. Is it often made with refined vegetable oils and preservatives? Yes. Is making it from scratch better? Yes. If you’re looking for ways to control what goes in your body, making your own food from scratch is a worthwhile skill to develop. When you make your own hummus from scratch, you get to decide which type of oil you use. You get to decide how salty it is. And you get to decide what it tastes like. Maybe you want to experiment and try a new flavor? Go for it! This recipe is for a basic hummus. It uses chickpeas, tahini (sesame seed paste), lemon juice, garlic powder, cumin, olive oil, salt, and water. The price difference is important as well. A container of hummus costs around $3-$5 in the grocery store. The ingredients don’t cost nearly that much on their own. You’re paying extra for bad oils, preservatives, and for it to be made in a factory. If you ask me, “factory made” doesn’t have quite the same ring to it as “homemade”. Put your chickpeas into the food processor. Turn it on and in about 30 seconds, stop and add the remaining ingredients. Blend until smooth. Add more or less water, depending on how thick you like your hummus. And as always, adjust the salt and spices to taste. Traditionally served with pita bread, you can use it as a spread on a sandwich or burger, use it as a dip for vegetables or crackers, or as a sauce for your meat. Want to try a new flavor? Go for it! Add some pumpkin, beets, or roasted red pepper for a colorful and flavorful addition. 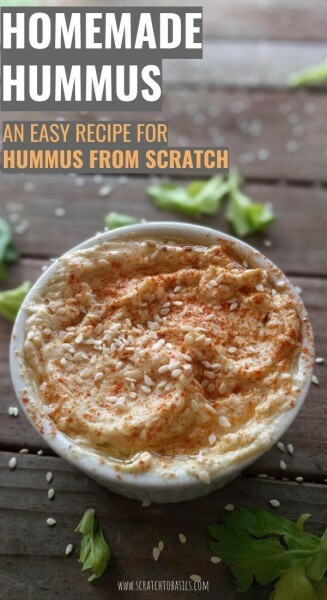 A delicious hummus recipe that’s simple to make in a food processor. 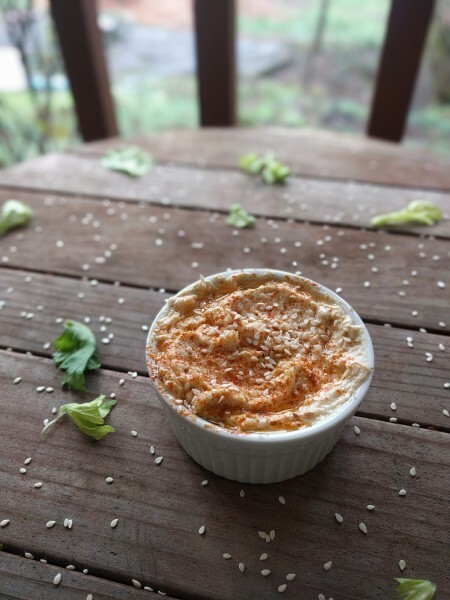 A perfect dip to serve at your next party. You can make this ahead and store in fridge for about a week. If you feel adventurous, you can try different flavor combinations mixed into the hummus like pumpkin, beet, or roasted red pepper. 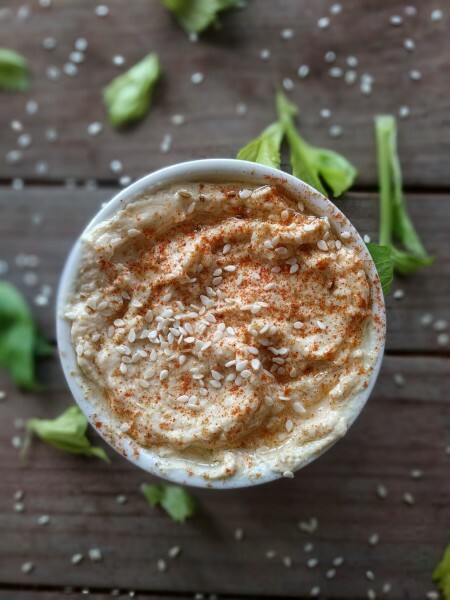 Traditionally hummus is served with warm pita, but it can be used as a dip for veggies, spread onto a sandwich, or on meat. The possibilities are endless!